1. You Have Chronic Neck & Back Pain – It’s an especially good choice for you if you’ve tried a lot of other alternatives — massage, yoga, physical therapy — and none have worked in a lasting way. 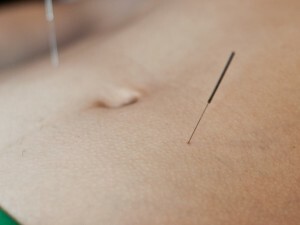 The American Pain Society and American College of Physicians actually recommends that doctors send their patients with chronic lower back pain to an acupuncturist, particularly if conventional treatments haven’t been working. 2. You Have Irregular Periods But Don’t Want To Change Birth Control Methods – There’s no denying that acupuncture has some sort of positive influence on your menstrual cycle. At the very least, it gives you the energy to feel great. This kind of positive boost definitely contributes to a healthier cycle, which is why it’s often used as part of fertility treatment as well. 3. You’re Anxious A Lot & Therapy Alone Isn’t Helping – Even if you’ve got a fantastic therapist and you’ve tried a few different medications, there comes a time when you feel like you could an extra bit of help to ease the anxious feelings that plague you.